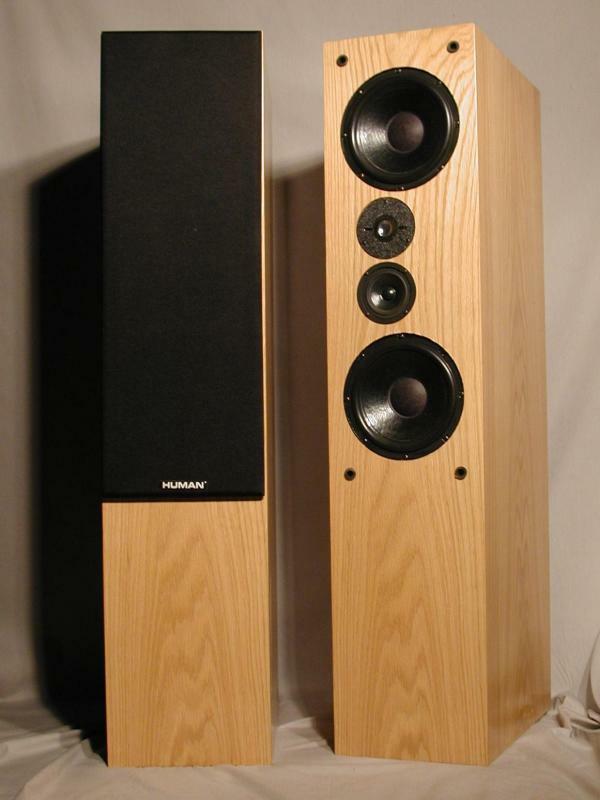 The HUMAN 8841 is the perfect speaker for larger rooms and listeners with more demanding power requirements. 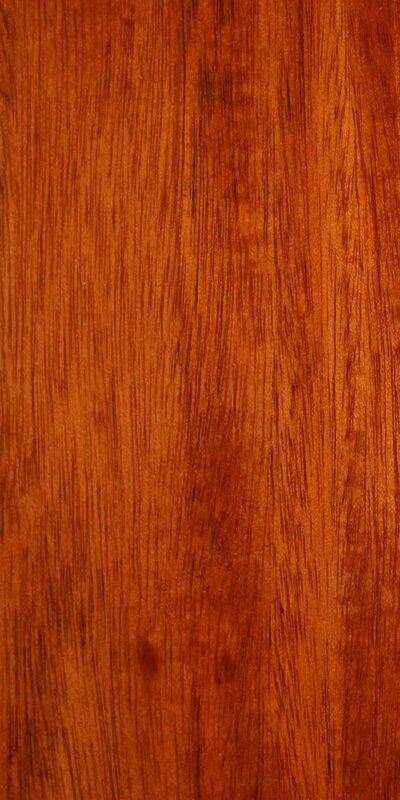 The finish is a beautiful real wood veneer - typically oak - the 8841 is an aesthetic pleasure in your living room even when it is not playing. I also offer an affordable version in an MDF box that is just painted black. Two powerful hand-made eight inch woofers, a carefully selected four inch midrange and my one inch aluminum concave dome tweeter are used to handle the entire spectrum of musical information effortlessly. These speakers will get the best out of any electronics. 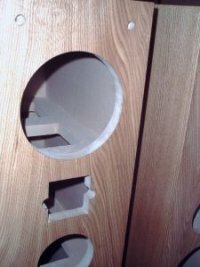 Whether you prefer solid state, tube amplifiers, or a hybrid setup, you will find that every enhancement in component quality is noticeable with these speakers. The musical signal enters the speaker via a set of gold plated binding posts that allow biwiring or biamping. 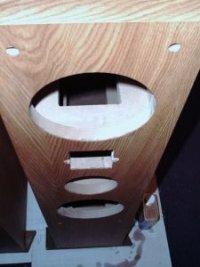 The next step is the crossover, the "brains" of the speakers. These are extremely critical in a three way system. Phase alignment is important, as is the sharpness with which the drive units are rolled off. This speaker has fourth-order slopes throughout, resulting in smooth and accurate phase response and preventing interference effects between the drivers. 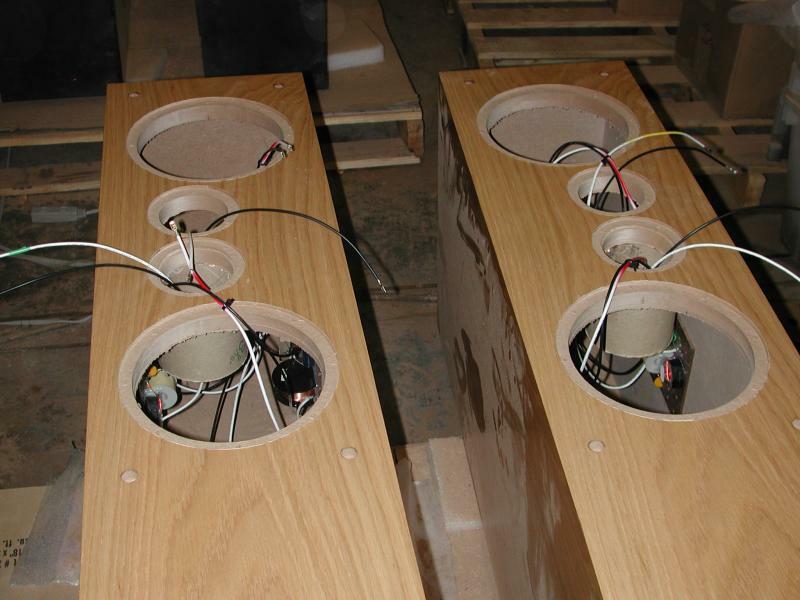 I build them by hand, using high quality components and direct point to point wiring for the best sound possible. The internal wiring is all 16 gauge oxygen-free copper I have custom made. 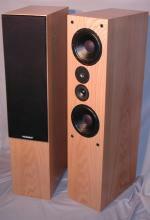 The two hand crafted woofers in each speaker reproduce the lower musical range, from 25 to 400 Hz, with authority. They are a long throw, efficient design proven through years of use and refinement. Placed above and below the higher frequency drivers, their acoustic center helps maintain the most pinpoint virtual image possible. Polymer treated paper cones and carefully chosen felt dust caps minimize intermodulation distortions of the diaphragm and let the music through, clear and uncolored. Using two smaller diameter woofers instead of one larger one improves transient response while still moving plenty of air. The midrange plays between the extremely important frequencies of 400 to 4000 Hz. These are the frequencies our ears are most sensitive to, corresponding to the approximate range of the human voice. These drivers are not built by me, but selected for their great sound qualities comparable and complementary to my drivers. The result is a creamy, effortless clarity in the middle range of the music. My unique, proprietary tweeter takes over at 4 kHz, delivering the high frequencies cleanly up to 26 kHz. This is so easy for a tweeter that will handle an 1800 Hz first order crossover in a 150 watt system that it never comes close to straining. The tweeter is essentially flat in frequency and phase response over this entire range, so all the most subtle details of the music, the harmonics, the sheen, the "air" of the recording space, are revealed for your listening pleasure. The drivers are carefully tested for each pair of speakers. 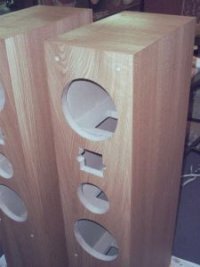 Once I have assembled the speakers, they are fully tested on the bench, and finally put through my own personal series of listening tests. This ensures complete adherence to my design specifications and lasting musical delights for their new owner.